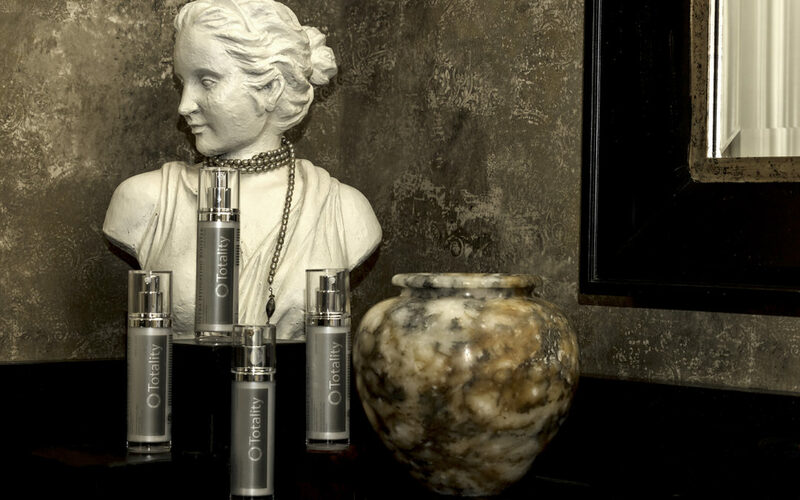 Are you looking for skincare products to compliment your aesthetics treatments? Totality now offers our own line of skincare products to use following your treatments and on a daily basis. These include our Ultra Hydrating Booster, our Radiant-C Cream, our Physical Tint SPF 44, and our Age Reversal Neck Cream. Totality’s Ultra Hydrating Booster is a potent, exceptionally penetrative, intensely hydrating serum that contains Hyaluronic Acid to restore the skin back to it’s natural hydration and beauty. The rich, emollient ingredients deeply moisturize the skin without leaving an oily residue, perfect for use following aesthetic treatments. Radiant-C Cream is a rich, potent, multi-active, antioxidant Vitamin C cream that delivers dramatic skin brightening and anti-aging benefits to firm and tighten the skin. In addition, this highly effective antioxidant product combats the effects of aging caused by free radicals and oxidative stress. Our Physical Tint SPF 44 is a water-resistant, physical sunscreen that combines a moisturizing base with a sheer, universal tint beneficial for most skin types, including post-procedure skin. It is light enough to wear alone of under make-up for daily sun protection. Specifically formulated to address the special needs of the neck and décolleté, our Age Reversal Neck Cream is an advanced, intensely hydrating emulsion that defies time and gravity to provide an immediate tightening and anti-gravity effect. It helps fight sagging and promotes the tightening of the delicate skin.